Mission Nuestra Señora de la Soledad was founded 9 October 1791 (13th in order) by Padre Fermin Francisco de Lasuén. The Mission is named for Our Lady of Sorrows. The Indian name was Chuttusgelis. The Mission was twice destroyed by floods and the third flood basically marked the end for the Mission. A small chapel and adobe ruins are all that was left standing. The recreation currently standing was started in 1954. The church at the Mission is currently used the first Sunday of each month for Mass and at various times for special services such as weddings. 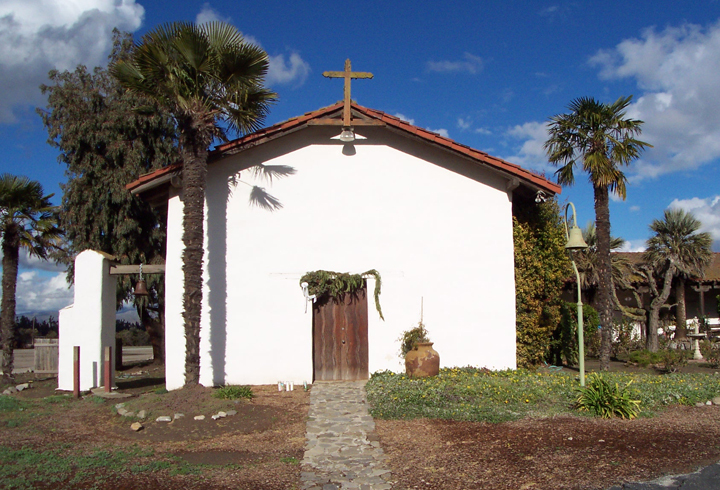 The Mission is about 2.5 miles from U.S. 101 just South of the city of Soledad. Take the Arroyo Seco Road exit from 101 and proceed West to Fort Romie Road (county road G17; 1.1 miles). Proceed 1.5 miles along Fort Romie Road to the Mission entrance and turn left into the Mission. The Mission is at 36641 Fort Romie Road (California Landmark 233).